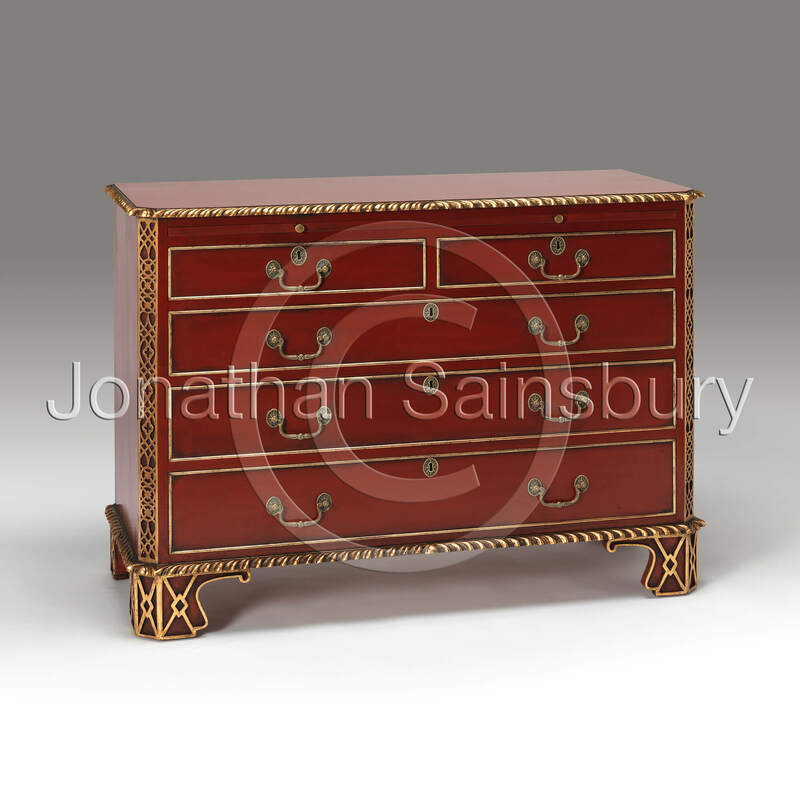 A fine Faux red lacquer and gilt Chippendale style commode. The top is decorated with a rope carved edge which sits above a writing slide. 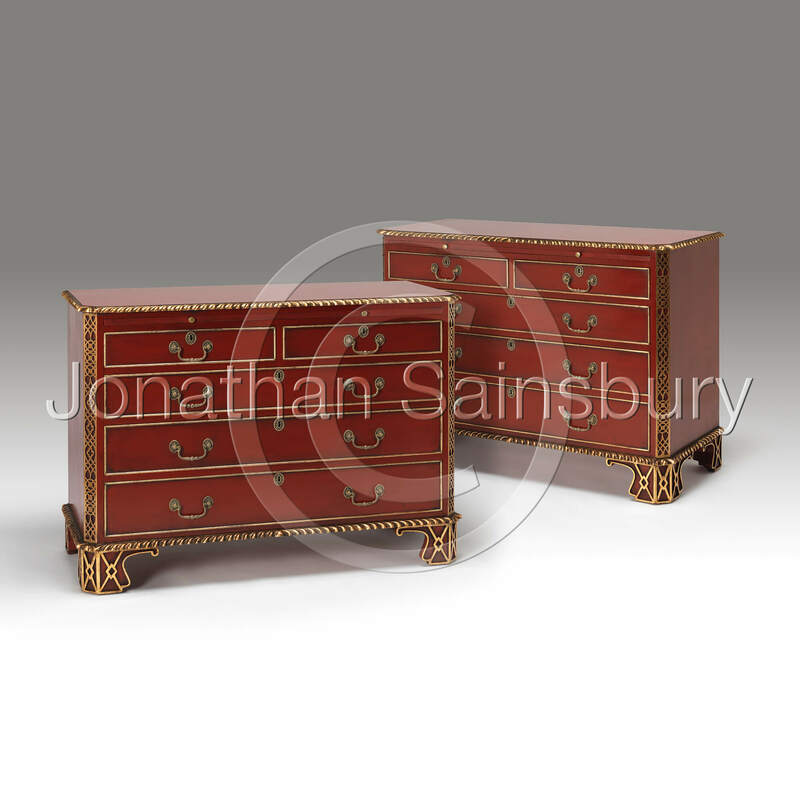 Two short and three long drawers have cast brass rococo handles. 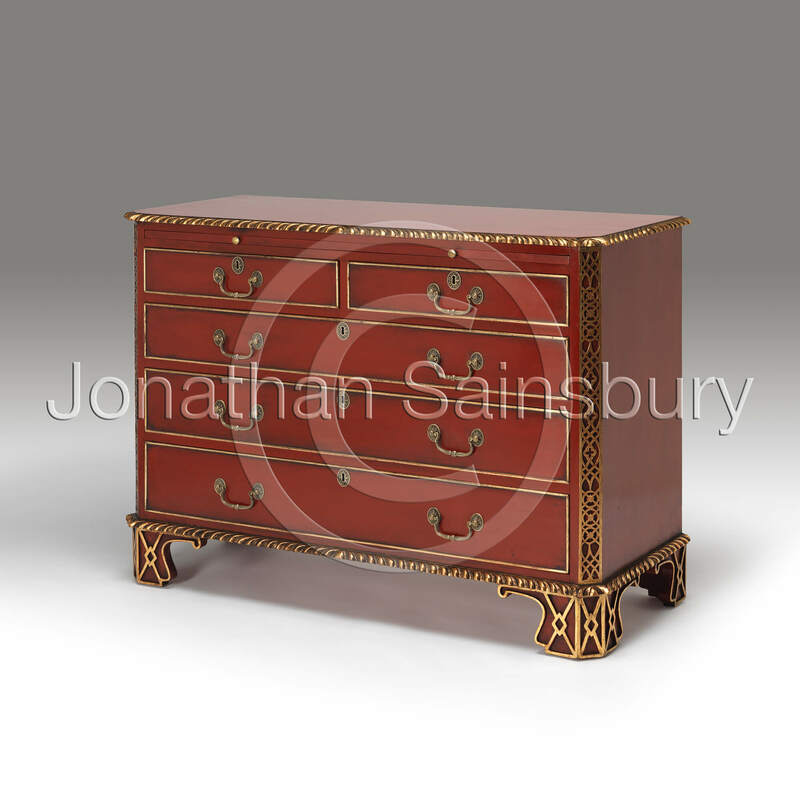 The commode has blind fret canted angles and terminating in a rope carved base moulding and shaped blind fret feet.